Culinary herbs provide health benefits for both you and your flock, so start growing and using them today. 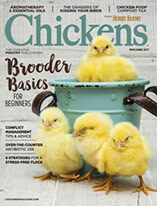 When I first started raising our flock of backyard chickens more than six years ago, I knew I wanted to do it naturally. I failed to see the point of raising our own chickens for the eggs if we were going to use chemicals, medications and antibiotics on them. The trouble was, not a lot of studies had been done (and still haven’t) on herbal remedies and preventives for chickens. I have read countless books on the benefits of herbs for people, and also several written specifically about using herbs with livestock, but not much actual formal research. Much of what is written is based on the author’s personal experience or old-timer’s lore instead of actual scientific studies, but I didn’t let that deter me. What has been tested and studied is the health benefits of culinary herbs for humans. Every herb has amazing and varied health benefits, which are also extremely beneficial to animals as far as I could ascertain from the few books I found that do cover holistic animal care. Common sense told me that adding herbs to our chickens’ environment and diet could only have a positive effect. There was no downside as far as I could see. Easy and inexpensive to grow, herbs are not only a wonderful addition to the meals I make for my family, little by little they have made their way into my chicken-keeping regiment, as well. 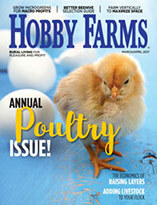 Over the years, I been able to see the obvious benefits of the herbs in my chickens’ appearance, health and egg quality. Some herbs I add to their feed, someI put in their nesting boxes, and others I hang in the coop or run depending on the specific herb’s benefits. Maybe you don’t believe that mint repels rodents or that garlic helps to expel internal worms. I can’t empirically prove that lavender calms hens or repels insects, but what I can tell you that in all the years I’ve been raising chickens, I’ve never had any kind of rodent or insect infestation in my coop, never seen any mites or lice on my chickens, never had a hen with any kind of respiratory illness and never had to treat one for worms. I credit all of this to my use of herbs in my chicken keeping. Here are some easy ways to incorporate herbs into your coop to benefit the flock. Calming, fragrant herbs added fresh or dried to the nest boxes to help calm laying or setting hens include lavender, lemon balm and chamomile leaves and flowers. Add them each time you freshen the nest-box bedding or as needed. Insect-repelling herbs steeped in white vinegar and strained into a spray bottle can be used as a coop cleaner. Thyme, basil and lavender leaves and flowers are some of my favorites because the essential oils are irritating to insects. Spray the roosts and around the nest boxes each time you clean your coop or more often if desired to help repel bugs. Herbs planted around the coop and run can help repel mice and insects. Mint is your best bet to keep rodents out of your coop and will also repel flies, while marigolds and rosemary will help repel other types of insects. Herbs loaded with vitamins and antioxidants that provide general health benefits to your flock include parsley, sage and oregano. Dry some of these herbs and then add several cups of the dried mixture to each bag of layer feed. Alternatively, you can trim the leaves from the herbs fresh from your garden and feed them free-choice to your flock. Herbs containing the pigment xyanthophyll contribute to nice vibrant-orange egg yolks. Parsley, basil and marigold petals all contain the substance and can be fed either dried and added to the feed or provided fresh from the garden. Some herbs even act as natural de-wormers. 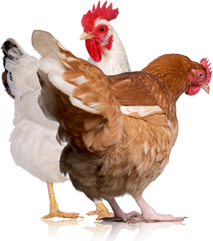 Nasturtium flowers, garlic cloves and dandelion leaves and flowers are some good choices to add to your chickens’ diet. Fed on a regular basis, they can help keep your flock free from internal parasites. Whether or not you believe in the healing power of herbs, at the very least, they make beautiful and aromatic additions to any chicken coop, and tasty treats that your chickens will love. All the culinary herbs mentioned above are safe for chickens to eat and offer their own specific benefits, so think about growing these and various other herbs for your flock.